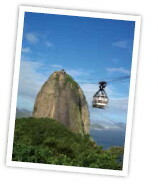 There are lots of great things to do and see in Rio de Janeiro, Brazil. Here are our top reasons for visiting this amazing city. Rio is full of famous places that you have probably seen on television before. The astonishing statue of Christ the Redeemer (“Cristo Redentor”) is the symbol of the city and was named one of the New Seven Wonders of the World in 2007. 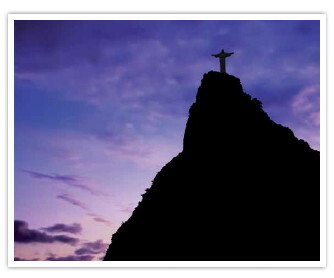 The 38-metre statue sits 710 metres above the city on top of Corcovado Hill. In 2002, they installed an escalator and elevator, so you don’t have to climb all the way to the top.